Koleys Inc., Combination Advent Wreath and Paschal Candle Holder. 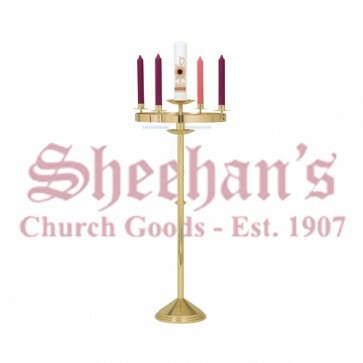 Celebrate Advent with a beautiful Advent Wreath and Paschal Candle Holder from Matthew F. Sheehan. This finely created piece includes five candle holders and a built-in wreath hook. The design is completely freestanding and has a weighted base to ensure that it stays upright. The base of the unit measures 12 inches around while the stand is 48 inches tall overall. The candle sockets are 1 1/2 inches in diameter with center spikes to allow them to adapt to virtually any candle. Please note that candles are not included. The Advent Wreath and Paschal Candle Holder is made in the U.S. for quality you can see. 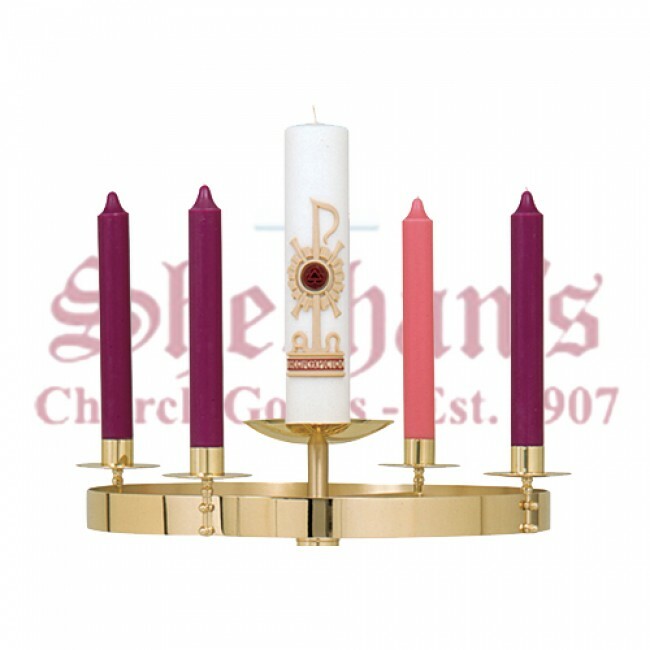 It has a lovely polished brass finish and a simple design that's ideal for use in any church. The candle holder is easy to move and can be brought out as needed to celebrate the season. Advent is defined as the liturgical period that precedes Christmas. For questions about our Advent wreath candle holders or help ordering, please call us at 1-617-971-9800. 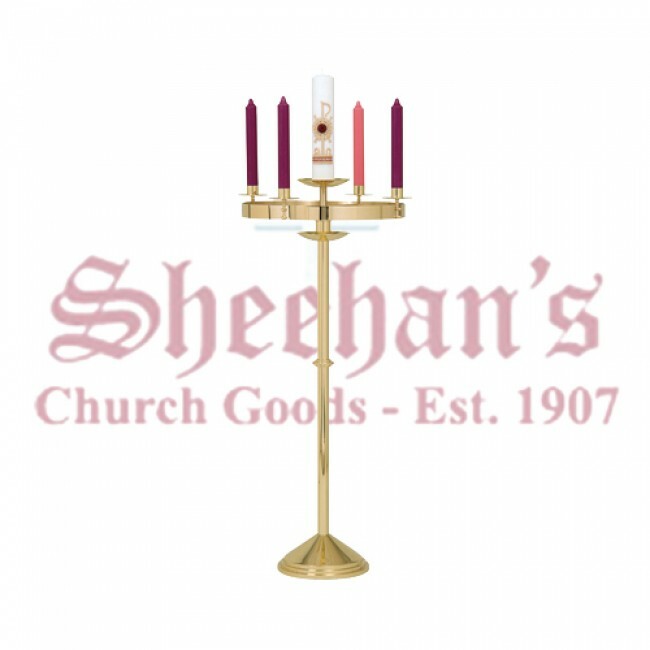 Matthew F. Sheehan has been the leading church goods supplier since 1907 and continues to offer the religious community outstanding customer service and top-quality products.